On June 26, 1767, pioneering educator Sarah Pierce was born in Litchfield, and during her long life Pierce would open one of the nation’s first schools for young women, advance educational equality and help educate such future leaders as Harriet Beecher and her sister Catharine. Pierce founded the school in her home in 1792, and during the Litchfield Female Academy’s 41-year-long history, she educated women from throughout the United States and Canada. 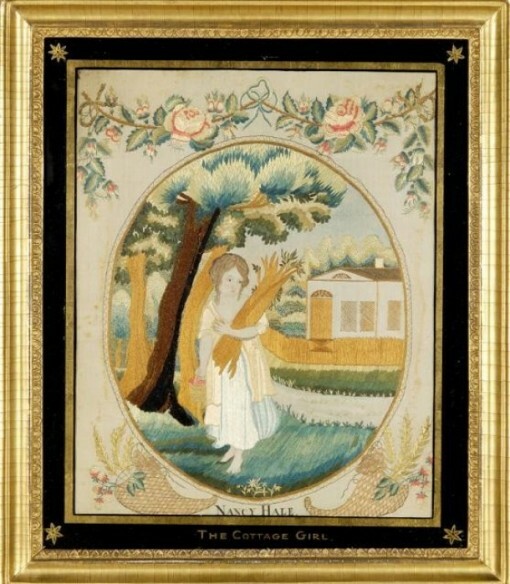 Litchfield academy emphasized both academics and the decorative arts and was famous also for the high quality of the needlework produced there. Pierce, who believed in the role of women in shaping home life, children, and culture, was celebrated for her piety and her kindness. “The Litchfield Historical Society,” 2017. Link. Connecticut: Home to the Boxcar Children Mysteries – Who Knew?